Photograph of the first Grand Central Railway driver route learning specials from Sunderland to London Kings Cross. 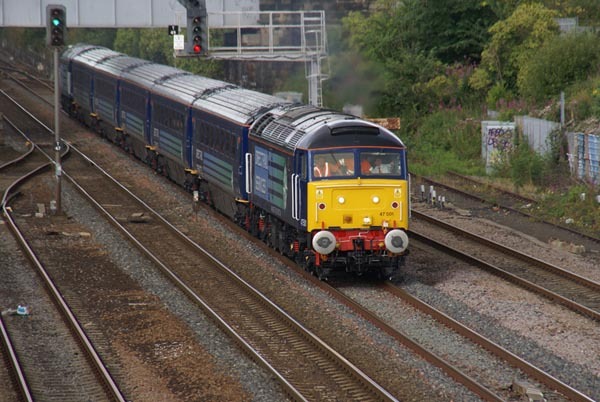 The route learning special was formed from DRS class 47s 47501 and 47802 top and tail with a set of mark 3 carriages. This is the Heaton ECS to Sunderland passing Pelaw. VIEW: More images from the category Grand Central Railway or taken at the same location or around the same time .